참고: Comes complete with 3.6V lithium battery. Operator’s manual and interface cable are included with the OM-CP-IFC200 software/cable package (required for data logger operation, sold separately). 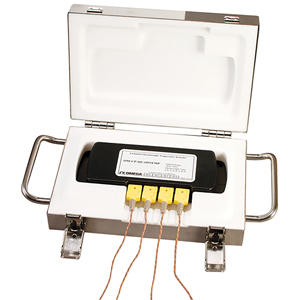 OM-CP-QUADTHERMOVAULT includes 4 type K thermocouples, (glass braid insulation, 24 AWG, 72" length).